This shrimp kebab recipe is perfect for beginners. It requires very few ingredients, but is bursting with flavor. 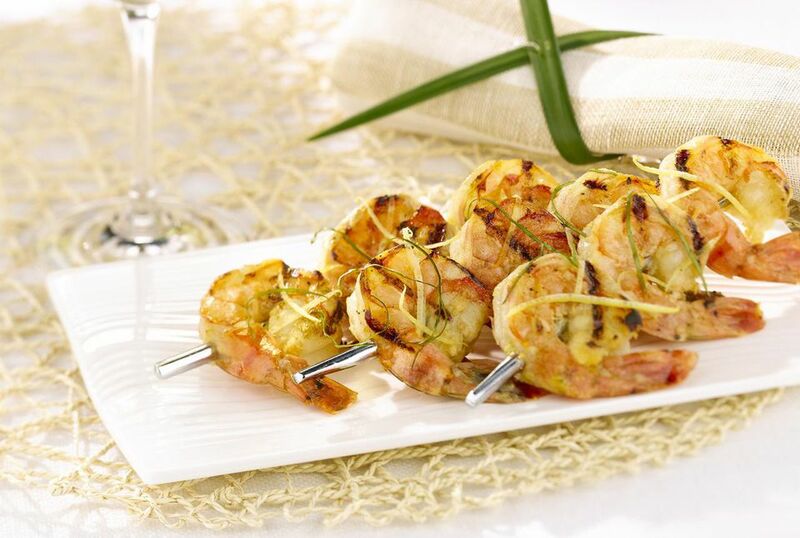 Shrimp kebabs are very easy to make, but the taste will make your guests think you have been working all day! 2 hours prior to grilling, prepare the marinade. Mix olive oil, lemon juice, pepper, parsley, and garlic. Place marinade in large freezer bag. Rinse and dry thawed shrimp. Add to marinade and place bag in refrigerator until ready to grill. Remove shrimp from marinade and discard marinade. If using metal or steel skewers, lightly coat them with oil. Place shrimp on skewers (about 5 per skewer). Spray the grill lightly with cooking oil to prevent sticking. Add shrimp kebabs. Cook for about 5 minutes, or until shrimp turns pink. Do not overcook. Serve shrimp kebabs over a bed of rice with fresh lemon wedges.